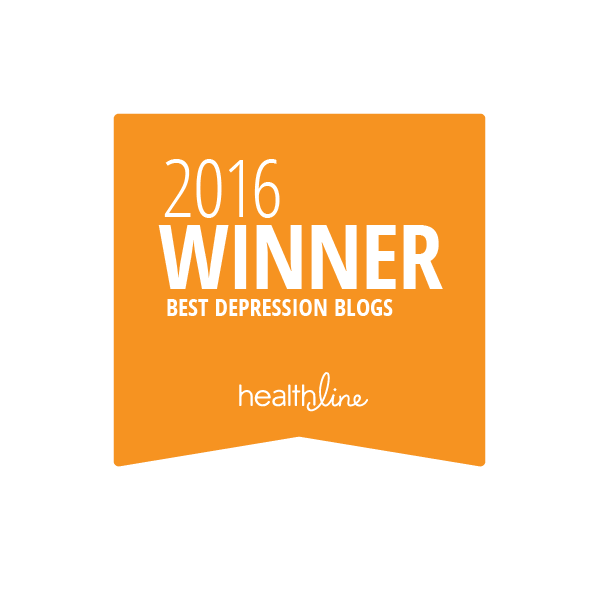 A Splintered Mind: Best Depression Blog of 2016? When Did That Happen? Best Depression Blog of 2016? When Did That Happen? I have this amazing article planned about the power of Inbox Zero for ADHD people. It was inspired by a sarcastic article written by somebody who took pleasure in her unread mail. I thought it was batty as well as catty, but then I never wrote my article in response. I forgot all about it until I started typing this blog entry. THAT, my friends, is the power of ADHD. Yes, you, too, can completely forget about amazing articles because the neighbor’s dog barks between the moment of Brilliant Idea Genesis and you finding something to write it down on. It may not have been the neighbor’s dog. It could have been my daughter asking me for help, a knock at the door, the ping of a new text message, the sudden realization I haven’t eaten yet all day… You get the idea. No idea is sacrosanct and protected when ADHD is in play. Right! Inbox Zero. I sure wish I was better at it. I miss so many opportunities when I fall behind. For instance, I was browsing through my Gmail account last week, no, it was two weeks ago‽ Dang, I'm bad. Anyway, I discovered in my over 100 unread emails that I was awarded Best Depression Blog of 2016 last month. This discovery was made mere moments after I sent the same person a rejection slip. Yeah, that was embarrassing. “Um, hi! I just rejected your request to post an infographic. 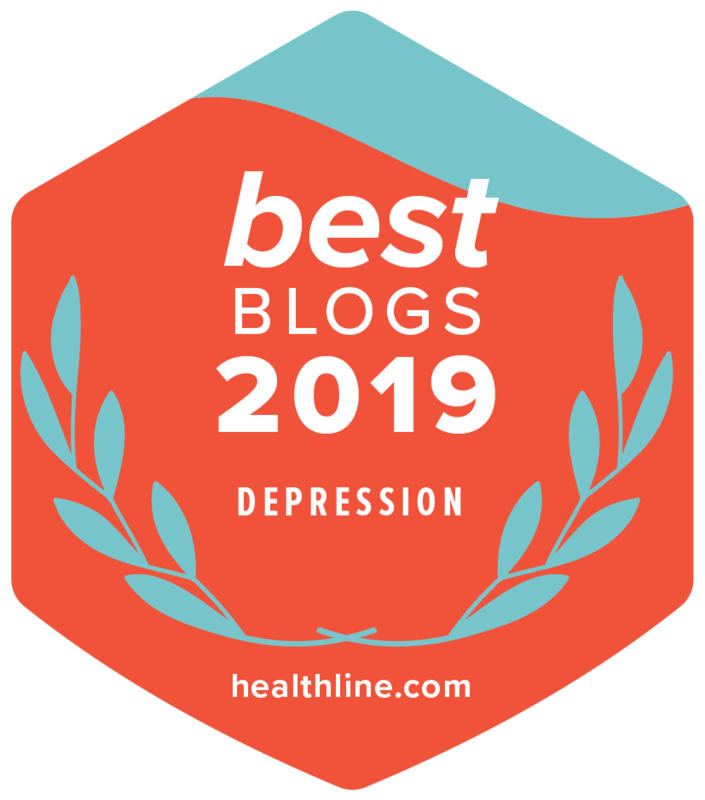 Thanks for awarding me for Best Depression Blog!” How fortunate Healthline.com’s rep was warm hearted. I just checked, and I’m still one of the blogs listed there. First, let me say I want to hire whoever wrote that blurb for me. It’s the best writeup I’ve read of my blog, and I’ve written quite a few of them. Most of all, however, I want you to go check out their page. There are so many other amazing depression blogs listed there. Usually, the same blogs pop up again and again with these type of awards, but I didn’t recognize any of the other sites. The blogosphere changes year to year as old blogs are abandoned and new ones sprout up. I am personally excited to visit each winner to learn what they have to say about depression. I hope you enjoy them as well. I miss writing in a fishbowl. As boring as it likely was for you to follow along, it did amazing things for my productivity. I wrote as if people actually cared how many words I managed to write each day. It was a beautiful lie that I needed to believe, and frankly, need to believe again. Between my daughter’s epileptic seizures, preparing for the Mental Health America conference, and my tic disorder, I didn’t get much writing in for May & June. As an experiment, I’ll post a blog like this once a week that’s very informal, tack the Fishbowl stuff down at the bottom, and then update the blog entry throughout the week. Let’s see how it goes. Since I don’t have comments fixed yet on Blogger, go ahead and let me know what you think on Facebook or Twitter. First the plan: I want to start writing a middle grade novel this Summer, and finish it before I turn 50. Deadline: December 23rd. I, also, want to write a new non-fiction work on fighting depression based on my popular blog post “Depression: Ten Ways to Fight It Off”. My goal is to post the first drafts as blog posts, then work it up before self-publishing. AND I want to blog every Wednesday without fail. I can hear your laughter now, but I’m ready for a challenge. I haven’t fallen on my face in public since the first Fishbowl series. I’m overdue. To make things complicated, sometime in July my copyeditor will be finished marking the crap out of my recent manuscript. So I’ll need to make edits, layup a book, design a cover, prepare promotional material, and put it on the market on top of everything else I want to accomplish. Oh, and pack up and move by the end of August. Monday: No writing today, but I got a lot of errands done. So many errands. I love waiting in line at the Social Security office. While I was there I wrote Wednesday’s blog on ADHD in the sun, then studied by Dean Wesley Smith. Tuesday: More errands. Why do they pile up like this? It’s almost like I avoid them all until I have no choice but to deal with them all at the same time in a stressful panic. Then, once I returned home to unmelt—when I thought I would finally be free to write—I began ticking. If the tics were all I needed to worry about, I’d push through it, but it affects me mentally, too. It makes writing intelligently very difficult. Well, that, and it’s hard to type when my arms flail about in an awkward manner. So I watched Netflix instead. I wish it was good television, but I’m afraid it was a dopey K-drama. Let me tell you why I enjoyed “A Walk to Remember” last week instead. Very well done flick. Religion was handled respectfully, which is rare for Hollywood. Even the preacher evolved positively without compromising his religion, something Hollywood doesn’t often do. In fact, I felt that Landon saved Jamie’s preacher-father from the pole he had stuffed up his nether region. And then there was Jamie, played by Mandy Moore. Her acting was a bit stiff considering this was one of her first movies, but she was delightful in the role, and that voice…I’ve been a fan since “I Wanna Be With You” sixteen years ago. Yes, there were plenty of schmaltzy, cheesy elements to the acting and plot, but overall, it was an inspirational movie for me. I accept it as a whole because I like its message of redemption and hope. There was also a sense of nostalgia while watching it since my oldest daughter loved this movie & Mandy Moore to death and sang the songs incessantly when it first came out. I think I’ll read the book by Nicholas Sparks to see how it compares, then study it to see how he made me care about his characters—assuming the book is as good as the movie.
. When I searched for her emails again (because I had accidentally archived them somehow), I discovered that she had unsubscribed from my newsletter four years ago. I was momentarily hurt by that, which I thought was funny since it was such an old email announcement. Four years ago, and I'm only getting around to seeing it now? Thursday: This is the day! No errands on my horizon. I'm up early. I can do no wrong. So I began to set up a new Scrivener file for my Fighting Depression book. I was going to take my Fighting Depression blogs and break up each bullet point into a chapter. Add an intro and a conclusion blank page, and rethink how I wanted to organize the previous bullet points as well as add a few new tips I've covered here over the years. I lovingly chose a template, excitedly named it, then went to save it in my Dropbox folder. That's when I noticed there were three other mental health themed books in there. What were these things? I switched over to the Finder to poke around in those folders and rediscovered the books I had begun and abandoned after my divorce. Wow, was one of them a depressing li'l thing. Deservedly abandoned! Then there was the ADHD book. Yep, I'll be returning to that one soon. But then I stopped short. There it was, dated September 23rd: my Fighting Depression book. I had already done everything I planned to do today, and even began writing it. Look, ADHD is a dangerous thing. You have no idea how bad I have it. How could I forget all this work? It's a good thing I can laugh at this stuff. Friday: Nothing done today, unless you count ticking uselessly on a couch as progress. I don't, so let's try again tomorrow. Saturday: I decided to yank the old work I had done on the Fighting Depression book. I moved all five chapters to the back of my book. If I want to, I can peek inside, but chances are I'll just delete it all before I'm done. I've already made major improvements since doing that. I've written 1433 words today. Intro done. More importantly, I have a vision now for what I want the book to say. I'm finally getting excited about this! 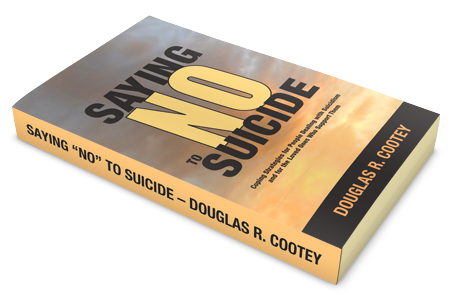 If you want to learn more about fighting depression, I haven’t finished writing that book yet, but I have finished a book on fighting suicide that you will find useful.